Finished Goldfish & 1 year blogiversary! My apologies for being away for the past week! I’ve been really busy with music – I have a show this coming Friday & getting ready for it has taken up all my time. Thing should go back to normal this weekend. 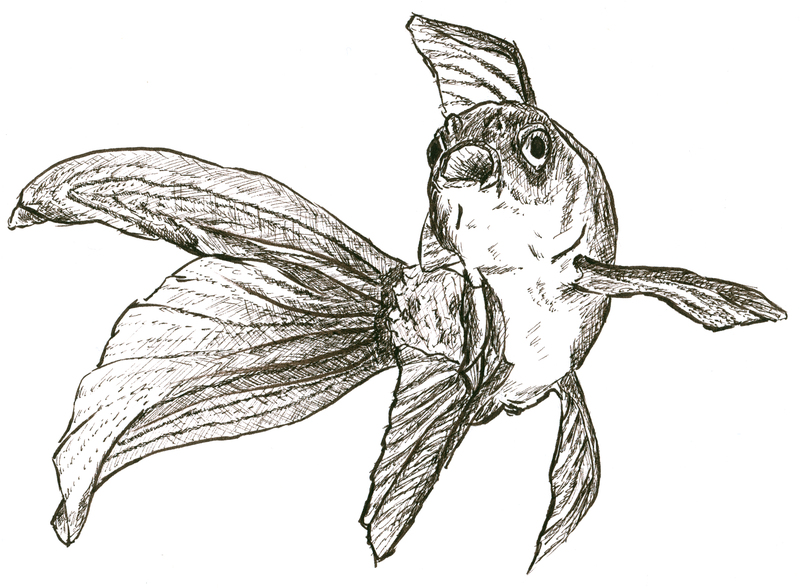 However, I did have an hour at lunch to try & finish the goldfish drawing before Inktober ends! Honestly, when I first started adding details to this, I wasn’t too happy, but now that it’s finished, I think it turned out pretty well – not sure I like it as much as the rhino or leopard, though. Hey guys, guess what! I’ve got another work in progress for you since I didn’t have a lot of time last night (kind of disappointing for me because I was really enjoying this one, like the leopard the other night). 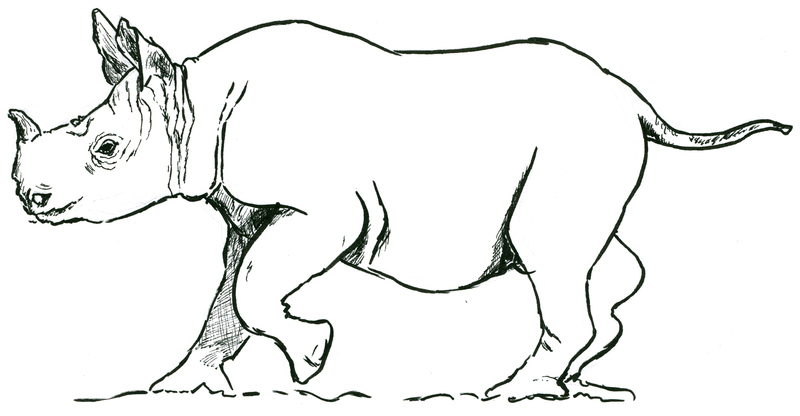 So, here we have another Inktober drawing that I’m working on, this time a rhinoceros! 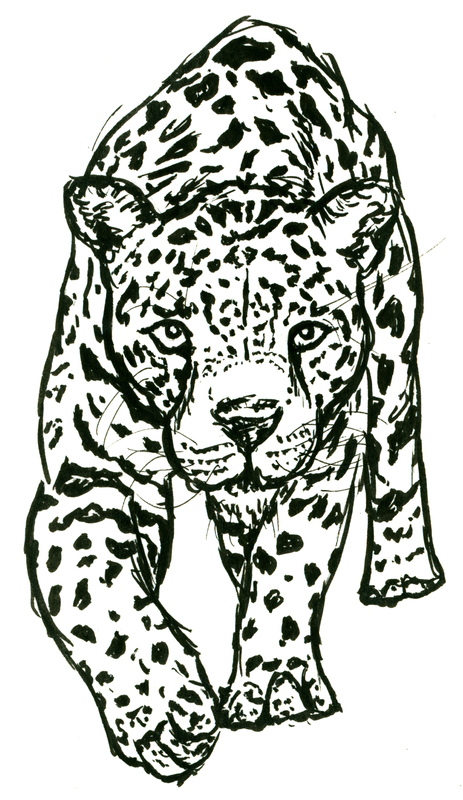 I’m trying a similar approach to the leopard (using that Micron brush pen), but slightly different in that I’m trying to do a bit more shading, & am using fineliner for some of the details & shading. 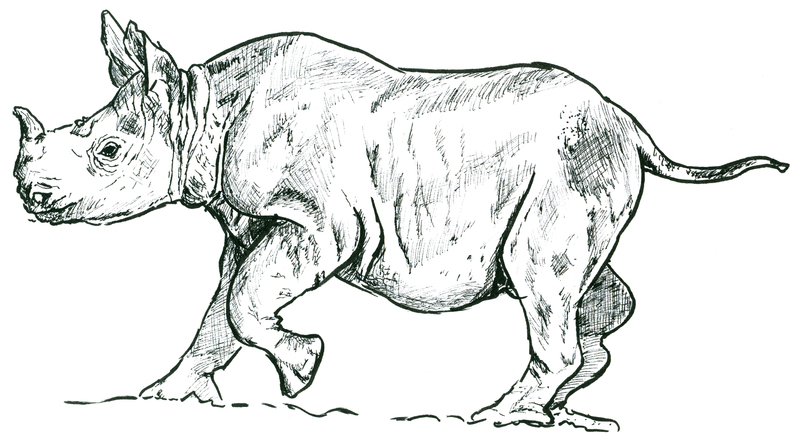 Rhinos have a lot of wrinkles. I didn’t think the brush pen was going to work for those wrinkles. Many of you have been doing awesome ink drawings for Inktober, which I just heard about maybe 2 days ago. So although I’m kind of late to it, last night I decided to do my own ink drawing. What possessed me to try drawing a leopard, I have no idea. It’s a really beautiful animal, don’t get me wrong, but I’m surprised I felt up to drawing all the spots.